Description: This regional gas supply is for a remote mine application in Canada’s cold northwest. 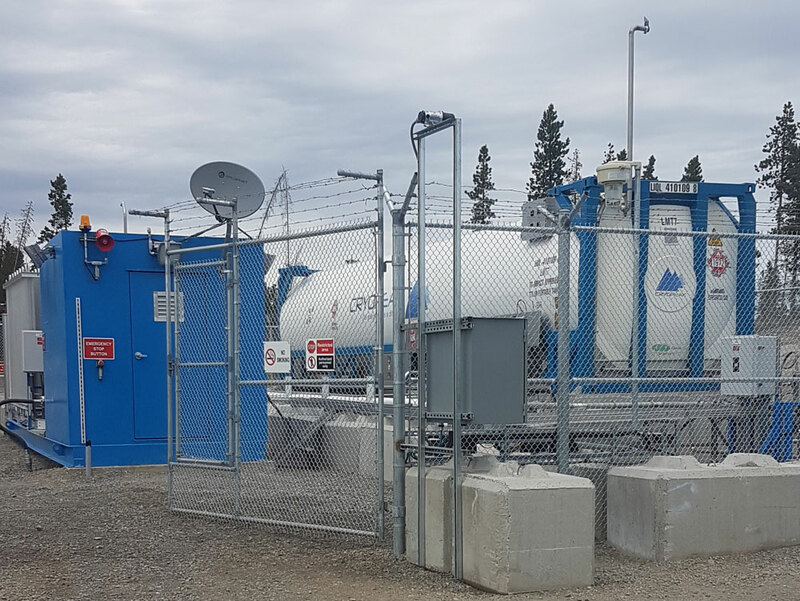 Cryopeak’s LNG is used as the primary fuel source for power generation for the entire site. LNG transportation for this operation includes a round trip of over 1800km and up a remote steep access road. 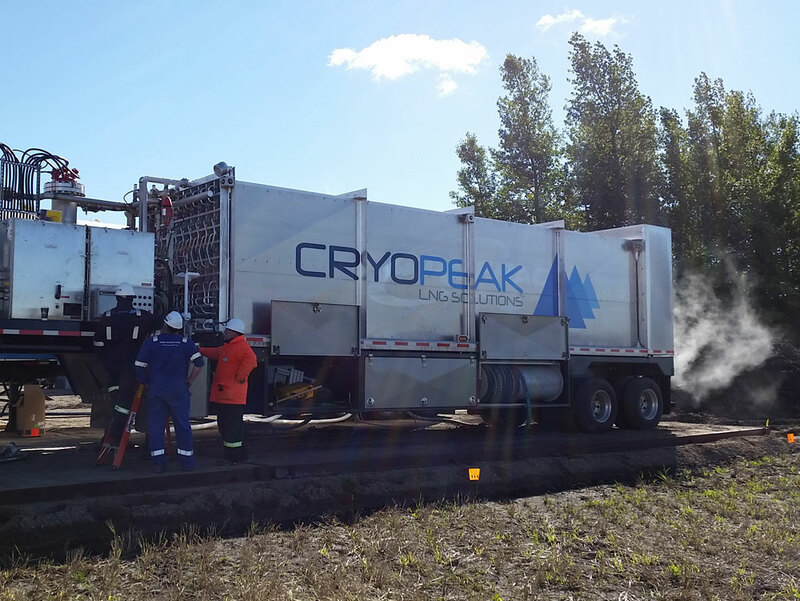 Cryopeak’s operations are proven in Canada’s harshest environments as attested to in this project. Description: This regional gas supply is for power generation for a remote community in Western Canada. Reliant on diesel this community is experiencing the benefit of using LNG to displace diesel. Description: This regional gas supply was for temporary gas supply for a gas distribution company. 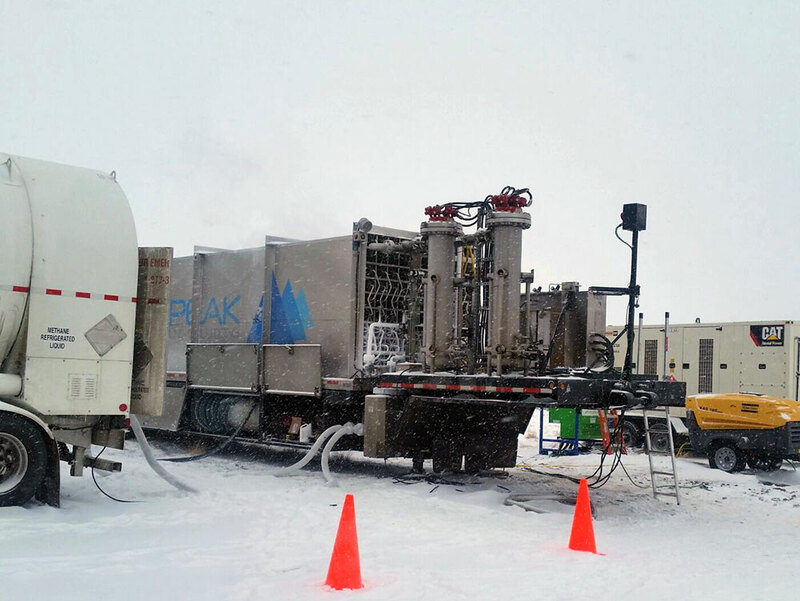 Cryopeak’s unique solution achieved pressures of 285 psi and flow rates of up to 150,000 scf/hr. Description: In the middle of winter a meat processing plant required emergency gas for their industrial processes as their supply line was interrupted, over one of the coldest weeks of the year. 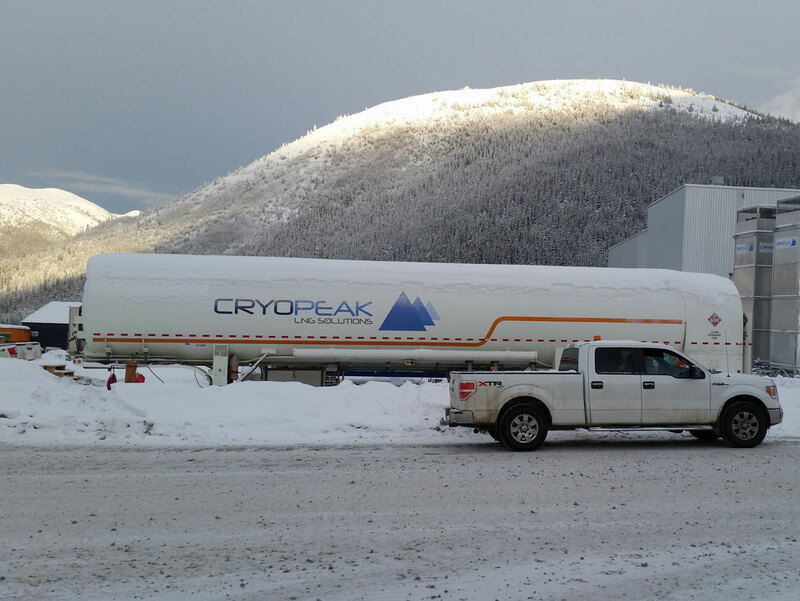 Cryopeak delivered a robust solution and ensured a gas supply which allowed the customer to save over $2million dollars worth of product.